You’re radiant, beautiful, and filled with opportunity to grow. It’s your turn to bloom! As Spring awakens, it’s time to break out your best florals and embrace the new seasons. From garden party dresses to whimsical jumpsuits, there’s a botanic ensemble for every occasion. 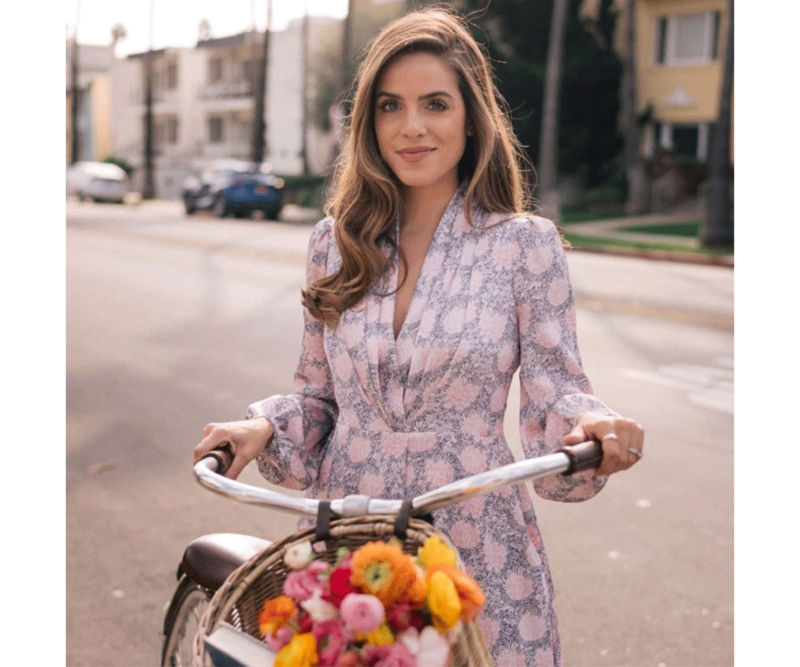 We’re sharing five floral trends you can get at Aventura Mall. Marigold is the color trend of the year. Vibrant yellow tones have lit up runways and fashion editorials for spring, breathing fresh life into the season’s color palette. Efflorescent patterns go hand-in-hand with whimsical ruffles. Retailers like Diane von Furstenberg and Topshop celebrate spring with playful frocks and maxi dresses. Pair these feminine, Americana-inspired dresses with your favorite flat sandals. Blush pink is a beloved hue of the spring season. Exude class in Ted Baker’s glam A-line dress, complete with bows and a delicate bouquet motif. Prepare for tea time with Gal Meets Glam’s Lizzie dress, a pastel beauty that’s refined and regal enough for your next daytime fete. The bigger the blossoms, the better. Slip into a pair of comfortable floral pants or a brightly-hued jumpsuit this spring season. 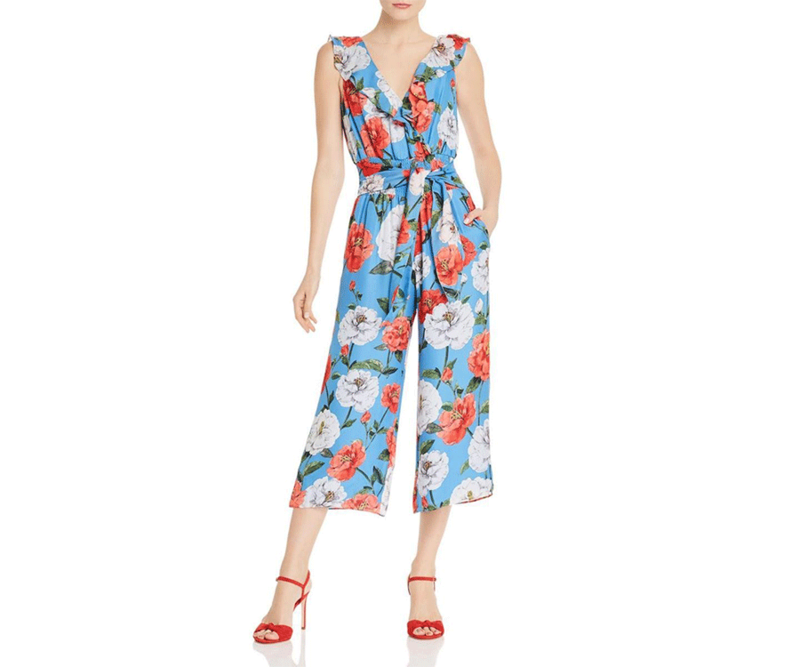 Floral jumpsuits and parachute pants create an effortlessly chic aesthetic to wear all season long. 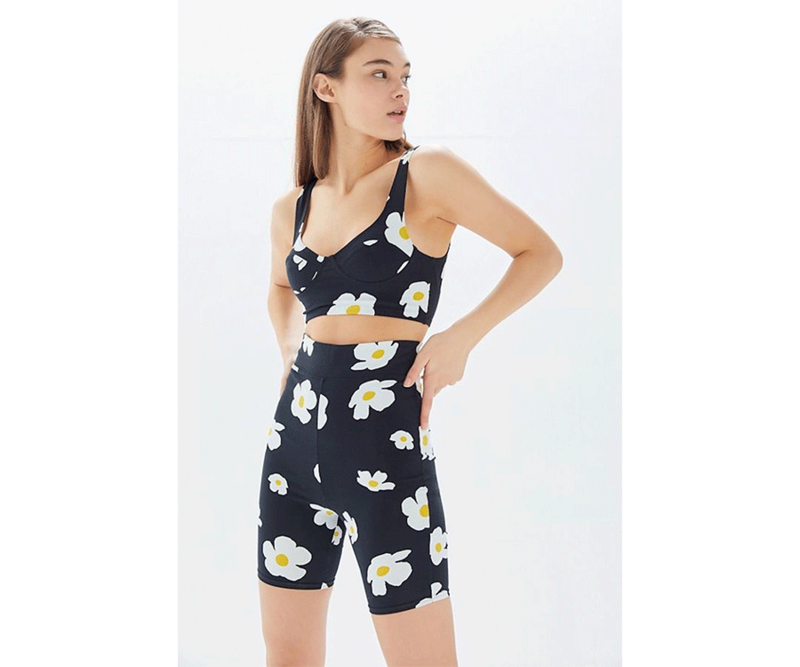 Daisies, a famed flower of the nineties, are a retro statement making a significant comeback. Take a twirl in a traditional daisy-print dress, like Zara’s flowing round-neck flower dress. To embrace one of spring’s edgier trends, slip into a pair of daisy print biker shorts with chunky, designer sneakers.